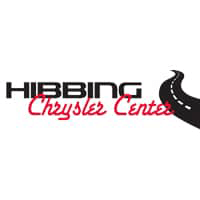 Hibbing Chrysler Center located in Hibbing, Minnesota is a short drive from Grand Rapids, MN. We sell & service both new & used Chrysler, Dodge, Jeep & Ram cars, trucks, vans, SUV’s & Crossovers for customers in Grand Rapids, MN & surrounding area. Look at our selection of new cars near Grand Rapids, MN! In Grand Rapids, MN and looking for a used car or truck? Hibbing Chrysler Center carries a large selection of used cars near Grand Rapids of many makes & models. Whether you’re looking for Chrysler, Dodge, Jeep, Ram, Chevrolet, GMC, Ford, Toyota, Hyundai, Buick & more you’ll find that our inventory is changing daily. Good deals & low prices on new & used cars near Grand Rapids, MN! We price our vehicles to sell! Found the one you’re interested in? Schedule a test drive and be sure it’s the one! We post the prices on our vehicles & also show you the blue book value. Looking for more? Make us an offer & we’ll do our best! Search our new car deals near Grand Rapids or our used car deals near Grand Rapids. We want to earn your business! We want to thank our current & past customers in the Grand Rapids, MN area and invite you to give us the opportunity to sell you your next vehicle & if you drive to Hibbing for work we’d like to service your vehicle too! Chrysler, Dodge, Jeep & Ram Service near Grand Rapids, MN! Looking for oil changes, brake job, tire rotation, tires or warranty work? Do you travel through Hibbing for work or visit friends & relatives away from Grand Rapids, MN? Schedule your repair with us! Ordering parts for your Chrysler, Dodge, Jeep or Ram vehicle has never been easier or as fast! Check our in stock selection and many parts are available overnight. We have on-the-spot financing! Looking for a great rate on your next auto loan? Hibbing Chrysler Center has one of the best finance departments in the area! Fill out our secure online auto loan application today!